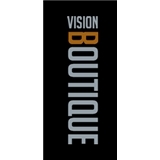 Vision Boutique (Chicago) - Book Appointment Online! Here's the deal. We're eye doctors first and foremost. We're proud that we're one of the few remaining doctor-owned optometric office and optical stores-so you get the right care and expertise for your eyes. Plus we carry exclusive designer labels like Prada, Oliver Peoples and Ic!berlin. So whether you're looking for sunglasses or new glasses, we can help you pick the perfect frame and lenses to help you find your point of view. Thank you very much Dr. Kiwacz for your time and see you next time! Everyone was extremely kind and attentive. It is the best doctors office I have ever been to. They took their time with me throughout the exam and were meticulous with making sure my glasses were fitted perfectly. They had patience while explaining each step and really went above and beyond. I can’t sing their praises enough!